Two weeks ago, I had my wisdom teeth removed, and I’ve been in recovery ever since. Witty plays on the notion of wisdom will most likely ensue, but for now, I’ll just leave you with this little bit that happened while I was out. 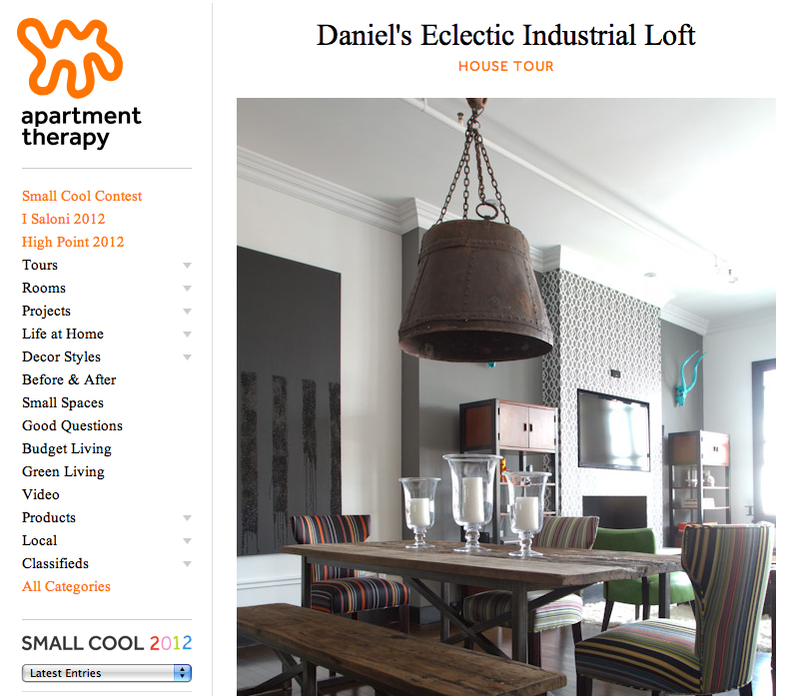 My ever-talented brother caught some national attention when Apartment Therapy featured his LA loft. We love the space, love the site, and love the positive feedback. Plus, we all got more than a little misty-eyed checking out the vintage Two Elle featured on his own site, www.daniellowe.com.